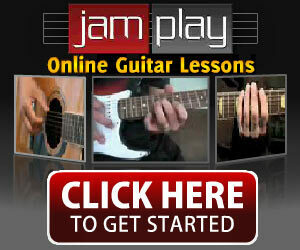 The most important elements in achieving a maximum playing instrument. We start this segment with a quick string stretch to help get the fresh strings settled in their new home. After double checking the neck relief, we head straight for setting up the guitar’s action - that wonderful place where playability becomes maximized and the instrument really starts to shine. 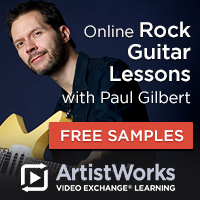 First, we'll cover the aspects of guitar action, how well it plays, which will then dictate how we set intonation. 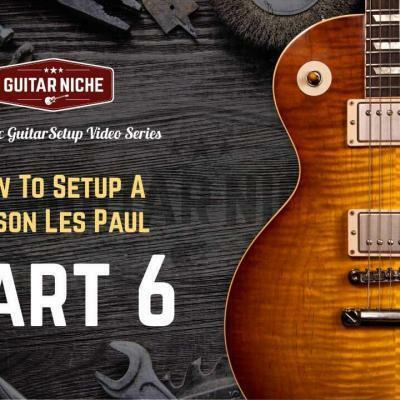 For more on the finer points of setting a guitar's intonation, be sure to watch the video below. When it comes to a guitar’s action, it’s not uncommon to have a guitar that plays very poorly turn into a dream machine with a little love in the right spots. The trick is knowing what spots to tweak, how much to tweak them, and maintain a global view of the instrument’s condition along the way. Remember, a perfect guitar setup is like the three points of a perfect triangle; one is the nut, one is the bridge, and one is the relief in the neck. If any one of those points is out of joint or maladjusted - the whole unit suffers in that the other two points are along for the ride. They’re automatically made accomplices to the crime. 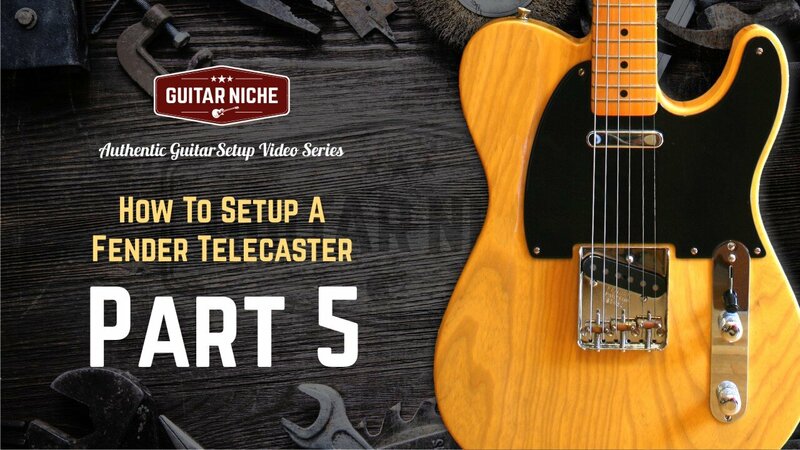 Of course, setting up a guitar to fit the player is also a matter of keeping the end user and their playing style in mind. He may be a shreddy shrederton noodler with a very light touch, or he may be the HULK - SMASH! - two entirely different approaches, and there's everything else in between. How would you categorize yourself as a player? Keep this in mind when explaining your latest guitar woes to your friendly neighbourhood tech - it goes a long way. A good guitar tech will ask you about what style you play, better yet, he’ll get you to play a little to watch your body language around the instrument. Even strumming two or three chords will speak volumes. From his end, the ultimate challenge is setting up a guitar that has issues for an owner who is uber-sensitive to the finest points of his prized instrument. If you have a favourite guitar that you know intimately, you play it constantly, almost exclusively, that instrument is therefor your primary voice. Those of us who've relied on a particular instrument to earn a living gig after gig know exactly what that means. Treating the instrument with as much respect as you would dealing with it's owner face to face is paramount. The living extension of their musicality is exposed on the workbench. 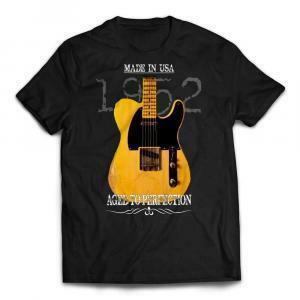 Great Guitars Deserve Great Tees! Back to our trusty Telecaster, if there was ever an instrument that could take a beating and smile, or respond to the lightest touch with complete acceptance - the Tele is the one. 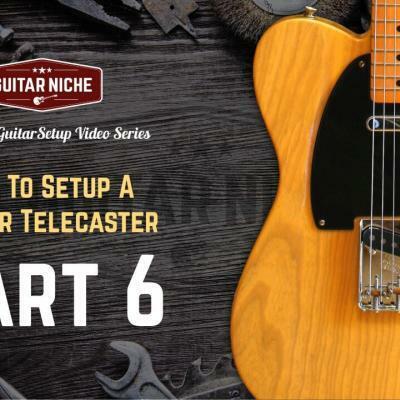 It's amazing, Telecasters are manufactured all over the planet; US, Mexico, China (that would be Chy-na in Trump-ese), Japan, India, Indonesia, Korea and many others have laid claim to dispatching fresh Teles to the masses. Depending on the iteration of the instrument, you may have a modernized fretboard radius of 9.5, 10 or 12+ inches, or you may have the typical vintage radius of 7.25 inches. Either way way, the principles of setting guitar action remain the same, although you will find the vintage radius requires a bit more “air” under the strings due to the very round nature of the fretboard. Be sure to watch the whole series for more on how to set up a guitar, particularly adjusting action in this segment. 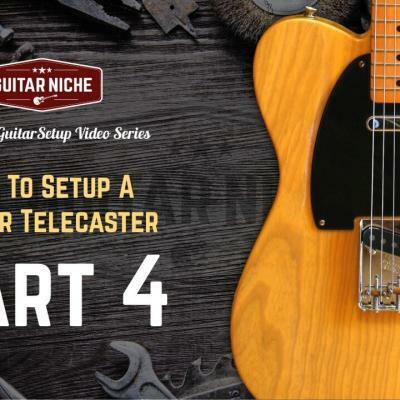 Whether it’s a garage sale prize or a vintage instrument, again, they all follow the same basic principles of physics that will allow for their best voice and maximum playability. For a list of essential tools to get the job done, visit the Guitar Setup Tools page and consider what you’d need to make your own instrument a better machine. The final segment in the series: We go through the final string stretch (very important!) setting the pickup height, plus some last minute tweaks. And finally - THE TEST DRIVE!